Sevilla midfielder Ever Banega is glad to see sporting director Monchi back at the club following an absence of two years. After finishing his playing career at Sevilla in 1999, the former goalkeeper became the club's sporting director the following year and swiftly helped bring about their return to the top flight. In 17 years with Monchi at the helm, the Andalusian side enjoyed the most successful period in their history, winning five UEFA Cup/Europa League titles in the process. Monchi left Sevilla for Roma in 2017, citing the desire for a new challenge, but things did not go entirely to plan in Italy and he departed in early March. A reunion with his former Sevilla colleague Unai Emery at Arsenal appeared to be on the cards, but Monchi opted to return home and Banega – who was initially brought to the Ramon Sanchez Pizjuan in 2014 – thinks he will offer a great deal to the club once again. "It's an extra reason to be happy," the Argentina international told Sevilla's official website of Monchi's return. "Not just for how he works, but for how he is as a person. Monchi brings a lot to the club. We're all happy he's back." 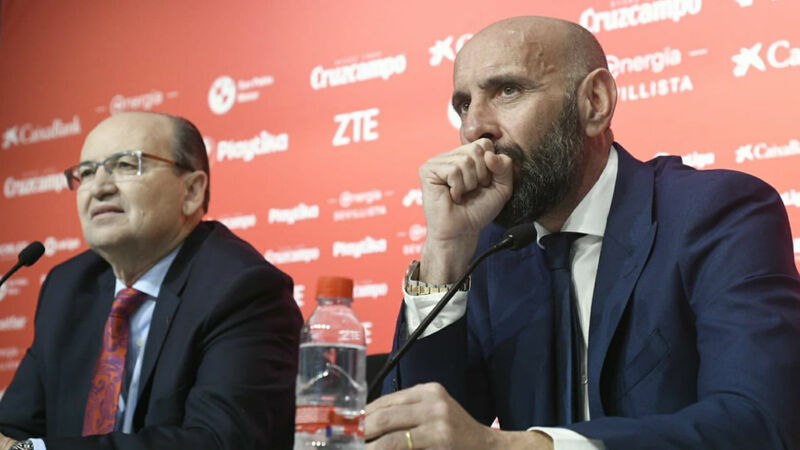 Monchi's return was facilitated by the sacking of coach Pablo Machin, who was subsequently replaced by the club's previous sporting director Joaquin Caparros. Machin was let go following Sevilla's shock Europa League elimination at the hands of Slavia Prague, though Banega maintains the former Girona tactician was a fine coach. "Machin is a very good manager," he said. "Results are what count in this business and we couldn't find that cutting edge to get the wins. "We have to keep fighting to finish in the Champions League places and a large part of that [Sevilla being in such a position] is thanks to him. "Caparros is a great motivator and his experience will help us in our goal to qualify for the Champions League. "We have two important games at home now to put the pressure on the other teams around us." Sevilla face Banega's former side Valencia on Sunday, as they bid to move level on 46 points with fourth-place Getafe, who are coached by Jose Bordalas, an early favourite to become Machin's full-time successor.